Yeah, yeah, you’ve heard it all before.. But what does that all really mean? 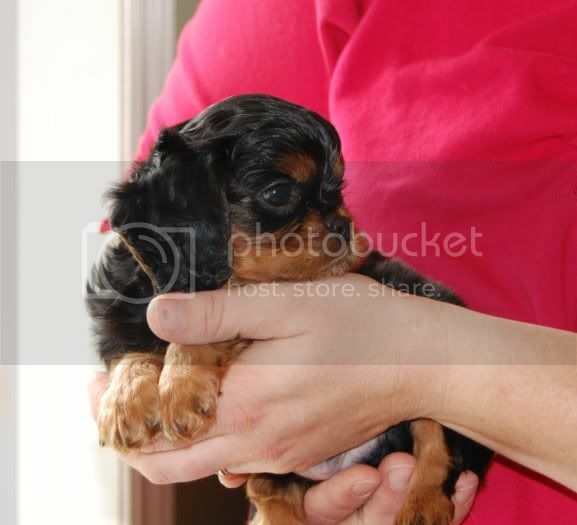 An add on Kijiji for Cavalier King Charles Spaniel puppies for sale. “First shots, dewormed, raised in the home, vet checked.” The add pictures a beautiful puppy in a cute flower pot, and Sire and Dam are pictured snoozing on the sofa. You decide to visit the breeder and the puppies. When you arrive you have a meeting with a friendly breeder who seems very professional and well spoken. You are able to meet the puppies, but are unable to meet any other dogs, and the puppies clearly aren’t living in this part of the home. There isn’t a dog bed in sight, and finding a dog hair on anything would be a challenge. The puppies are friendly. The breeder talks about never having any health problems in their dogs and has a 5 year health guarantee, but when you ask to see and have copies of the clearances, you run into excuse after excuse. What is the problem with this you wonder? 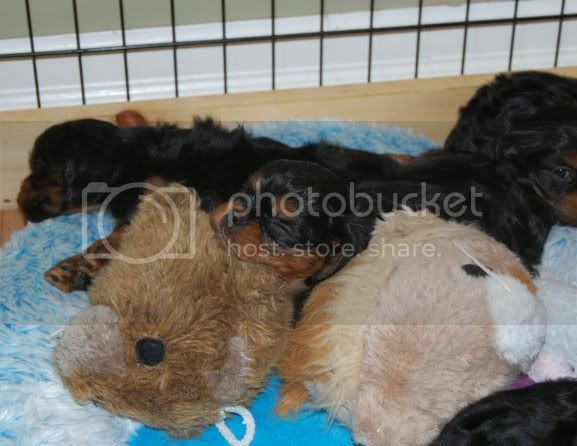 The fact that a breeder registers their puppies (or not) with the Canadian Kennel Club, and that they are home raised with all vaccines and vet checked, does NOT automatically mean that they are coming from a GOOD responsible breeder. When purchasing a Cavalier King Charles Spaniel puppy please be sure to see the following health clearances. Heart testing for Mitral Valve Disease within one year of being bred on both parents AND grandparents. Parents should be 2.5 years old, and Grandparents must be clear of MVD at over 5 years old. If the breeder cannot provide the following, look elsewhere! If you are stuck, contact me and I can forward you on! 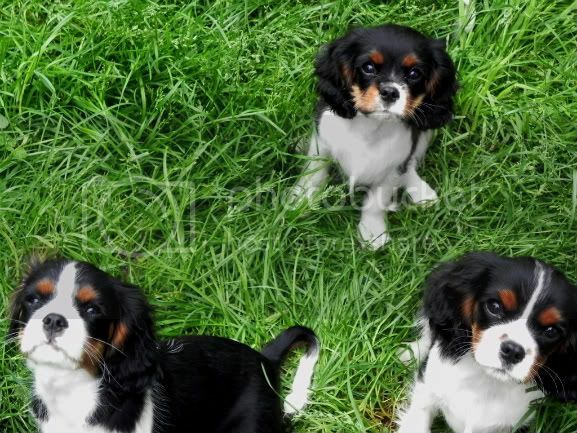 There are lots of Cavalier King Charles Spaniel puppies in Ontario from amazing breeders that are looking for homes. Be sure to check the Cavalier King Charles Spaniel Club of Canada’s breeder directory, and also contact the regional club in your area. For Southern Ontario that is the Cavalier Fanciers of Southern Ontario. Meanwhile our example above continues to pump out puppies with no concern for breeding protocols or health testing. Infuriating. People buying cavalier puppies are just as responsible for this breeds welfare as those breeding them. If you are NOT purchasing Cavaliers from responsible breeders, you are not doing your part to protect and help this breed. ummm, I'll take Karen's puppies!!! 😉 You just need to convince mom for me! Thank you for this post. There is nothing that makes me so angry as people who try to make money from dogs… no matter what breed. There will always be someone who will pay for a special breed of dog. Dog cookies would have worked for AMES… not with me ! Actually she would have insisted on ice cream too ! While I agree with you wholeheartedly I must say that it isI not that easy to find a breeder – much less one who does all the recommended screenings. When I was looking for Max only ONE breeder out of the many I contacted even responded to me. I sent each an e-mail describing our home situation and how I had planned for a puppy since getting my Mindy 10 years earlier. By the time I was looking for Rylie (a year later) I decided that I had better plan for the search to take a lot longer. This time – every single one of the breeders I contacted responded and passed on names of others if they didn't have puppies themselves. Maybe the difference was timing – maybe I was lucky in the breeders that I chose to contact this time but I talked to several very lovely people who were very generous with their time and advice. Tri colour puppies that nobody wants? Surely that is criminal? All I can say is I don't think my willpower would stand up very well if they were girls even though two dogs is EXACTLY the right amount for me right now. Thanks for the comments everyone. It was a bit of a ranty post, but I was seriously PISSED off. It may not be easy finding a breeder but they are out there and they are doing their best! The tri boys are adorable and very *nice* puppies. Hope we can find them homes soon. Very good post! Maybe I need to visit canada to get my next cavalier 🙂 if they need home still in the future. I would follow your advice of course. I see nothing wrong whatsoever with someone making money breeding a dog provided the health and well being of the dog and the home that is selected for it to go to is checked out. Thanks for the information on this breed. Sounds like they make great friends but then again most dogs do.